Manuel “Manny” Sanchez is the Founder and Managing Partner of Sanchez Daniels & Hoffman. 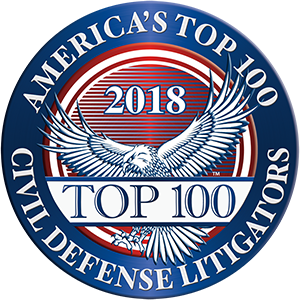 Over the past 29 years the firm has earned a reputation as one of the premier civil litigation defense firms in the State of Illinois and has grown into the second largest minority-owned law firm in the United States. Manny is a highly accomplished trial lawyer, specializing in multi-million dollar complex product liability, construction, professional liability, employment law, civil rights, commercial and toxic tort defense litigation. He has been the lead counsel and successfully tried to verdict more than 75 cases in both State and Federal Court in Illinois, Missouri, and Indiana. He has received an AV Preeminent peer rating by Martindale-Hubbell for the past 27 years. Highly regarded by his peers, he is a multi-term elected member of the Illinois State Bar General Assembly, past Co-chair of the ABA Commission on the Jury and in 2013 he was selected as the recipient of the 2013 Distinguished Award for Excellence by the Illinois Bar Foundation. Manny has represented such high profile clients as the manufacturer of the motor vehicle which was one of the nine defendants sued by the Reverend Duane Willis and his wife following the horrific burning deaths of their six children. After the global settlement of the case for $100 million, Manny filed a contribution action against the sole non-settling defendant and successfully secured a jury verdict for the client’s entire settlement contribution of $10 Million. In the past 5 years, Manny has also secured favorable jury verdicts for several police officers in the largest civil rights case ever taken to verdict in the Northern District of Illinois, secured a not guilty verdict in defense of a racial discrimination/retaliatory case brought by the EEOC, obtained the first not guilty verdict for an automobile manufacturer in a Living Mesothelioma Asbestos case tried in Madison County, and in 2012 received the Illinois Jury Verdict Award for the best ADA/Civil Rights verdict for a case tried in DuPage County. 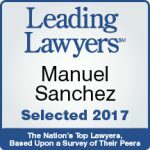 Manny has been recognized by the Leading Lawyer Network since 2003 in multiple areas of civil litigation work including product liability and toxic tort defense law. He is a Charter Fellow of Litigation Counsel of America. He has also been named annually a Super Lawyer in Illinois since 2006, a recognition given to the top 5% of attorneys in each State. As Manny successfully grew his law firm, he became actively engaged in the Business, Civic and Not-for-Profit activities in and around the city of Chicago and State of Illinois. 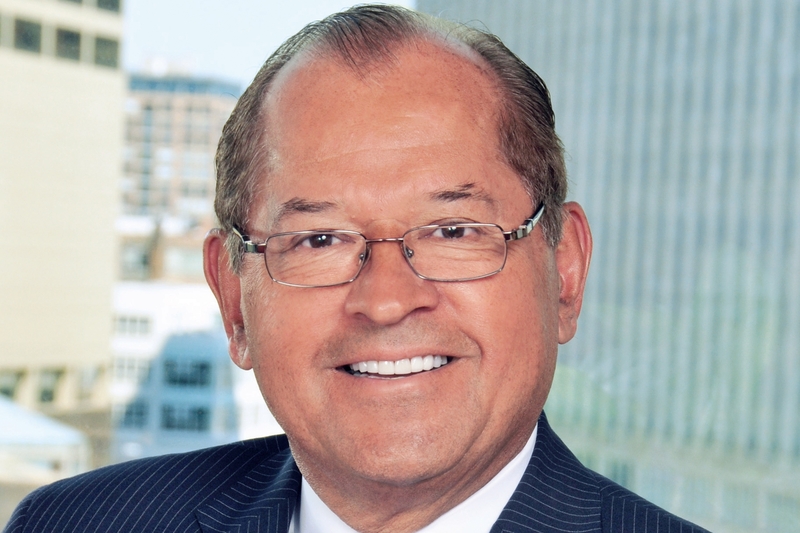 Indeed, Manny presently serves on the Boards of numerous business organizations including The Executives Club of Chicago, The Economic Club of Chicago, The Chicagoland Chamber of Commerce and Independent Maps of Illinois. He is a member of The Commercial Club of Chicago since 1995. 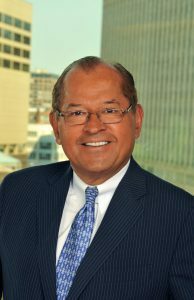 He currently serves on numerous Not-for-Profit Boards including: Children’s Memorial Hospital, Choose Chicago, Steppenwolf Theatre, Northern Illinois Foundation, Loyola Council of Regents, Northwestern Memorial Foundation and Chicago Scholars. Since the founding of the Law Firm in 1987, Manny has literally helped raise millions of dollars for eleemosynary causes including Chicago Scholars, Gary Sinise Foundation, and his alma maters, Northern Illinois University, University of Pennsylvania Law School and Holy Trinity High School. Manny has received three gubernatorial appointments including appointment by Governor Edgar in 1996 to the Inaugural NIU Board of Trustees, where he served for 15 years, appointment by Governor Quinn to the Illinois Sports Facilities Authority in 2011 and appointment by Governor Rauner to Chairmanship of the Illinois Sports Facilities Authority. Additionally, in 2011 Manny was appointed by President Barack Obama to the President’s Advisory Commission on Educational Excellence for Hispanics.